John Mackey grew up in Roosevelt and played football at Hempstead High School before settling at Syracuse University and making history in the NFL with the Baltimore Colts. Mackey, who suffered from dementia, died this week at the age of 69. At Hempstead, Mackey won the 1958 Thorp Award as Nassau County’s top football player. The NFL Hall of Famer, who roomed with Ernie Davis at Syracuse, is arguably the greatest tight end in the history of the sport. 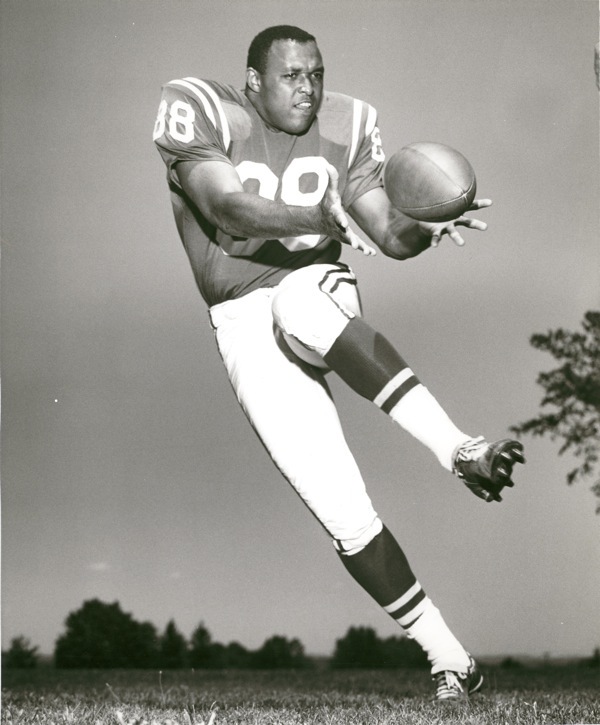 He was selected in the second round of the 1963 NFL draft by the Colts and played in the league until 1972. During that time he caught 331 passes for 5,236 yards and 38 touchdowns. His most prolific catch was a 75-yard touchdown reception in Super Bowl V off the arm of Johnny Unitas. The ball tipped off the fingers of Cowboys defensive back Mel Renfro into Mackey’s hands. The top tight end in Division I football is given the John Mackey Award and the NFL, thanks in part to the efforts of Mackey’s wife, started the “88 plan” – after Mackey’s number – which provides $88,000 annually for nursing home care and $50,000 for adult day care to retired NFL players in need.